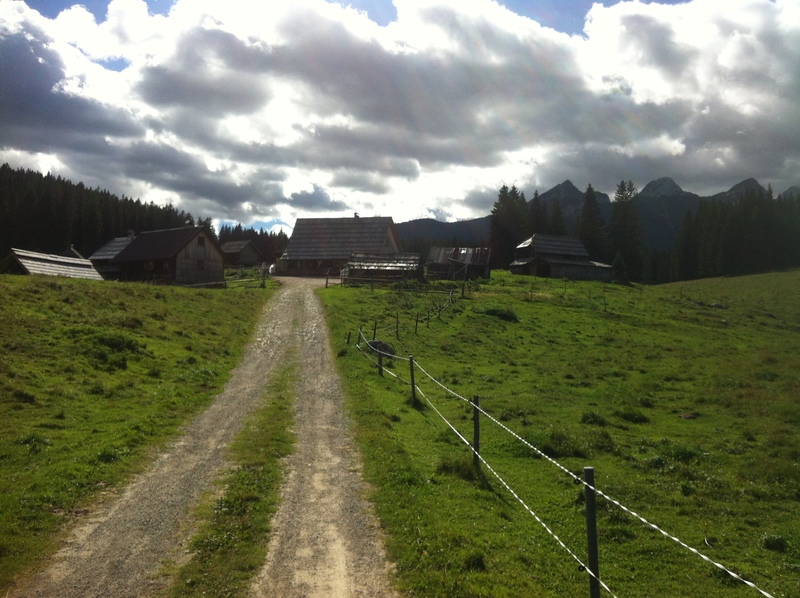 The hike to one of the friendliest peaks of the Julian Alps starts in the vast forests of Pokljuka high plateau. Having reached the lively alpine pastures at Lipanca the first views open on to the Bohinj valley and the green carpet of forests down below. Natural hiking trails lead us higher through the colourful garden of wild mountain flowers to the upper balconies of this mountain paradise. A real feeling of achievement awaits you at the top. As you scan the horizon from this 2014 m high peak, Lake Bled and the Karavanke mountains are behind you, the Krma valley is more than 1000 metres below your feet, in front of mount Triglav, the sacred mountain of Slovenians. 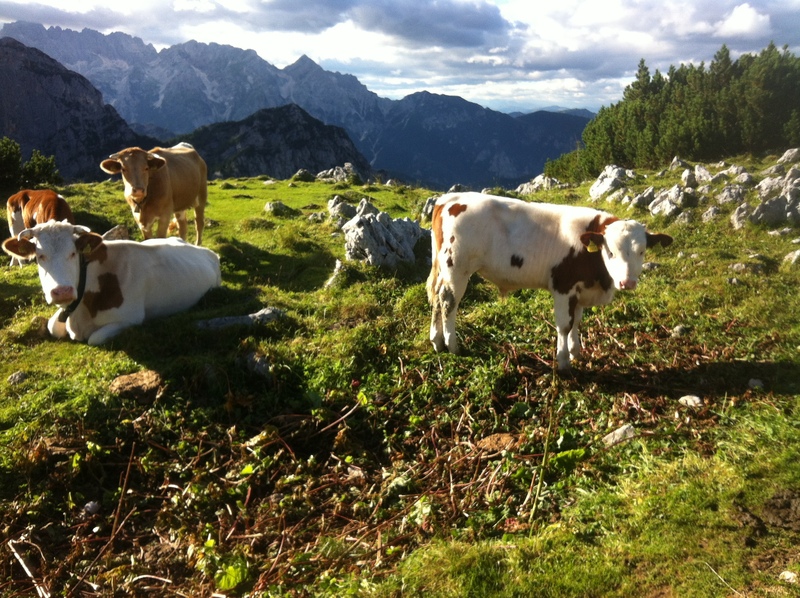 We will drive from Bled to the Zajavornik pasture, where we leave our vehicle by the road. We will start with a lunch ( corn and buckwheat mush, local cheese, sour milk, sausages, minced lard ) in the alpine diary. In the hut, we will be able to see the cheese production. You will be able to buy cheese, butter and local honey as well as some local souvenirs. After lunch we will start our ascend to the Lipanca alp, where a mountain cottage is located. If you will not fill fit enough to continue, you will stay there until the others return from the peak. 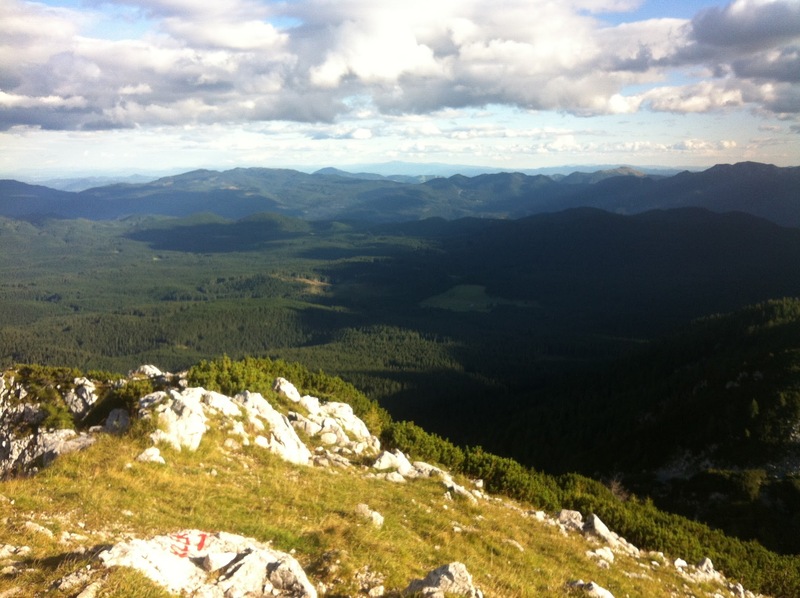 We will continue to the west edge of the Pokljuka plateau; we will stop on the edge to admire the magnificent panoramic view after ascending to the Debela peč peak through the forest and dwarf pines. We will return via the same path and make a break in the Lipanca mountain cottage for a hot herbal infusion.